The ripples of this updated attitude are visible across museum programmes and landmark artist’s outputs across the globe. 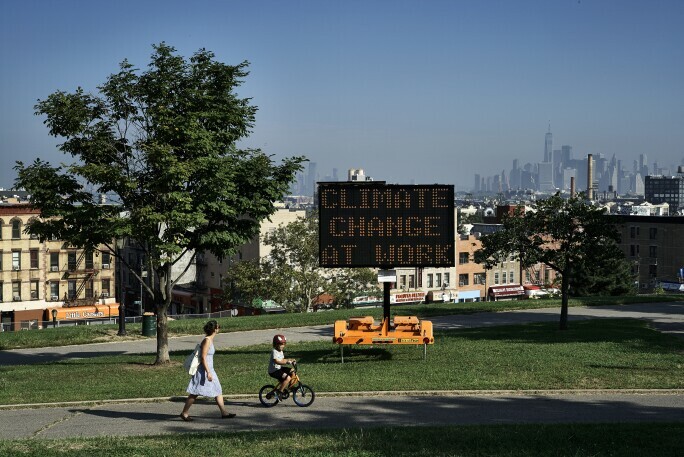 The Storm King Art Center in Mountainville, New York state, has prioritised the environment since its founding in 1960, but its current show names it as its headline concern: Indicators: Artists on Climate Change. The topic of migration has always been a rich seam for artists, but last year saw Ai Weiwei’s Human Flow, 2017, go further by showing how humanitarian crises are exacerbated by climate disaster. The film was screened at museums including the Hirshhorn Museum and Sculpture Garden in Washington, DC. Even existing work is being rethought in light of environmental issues. In February, Leonardo DiCaprio's eponymous foundation, known for its engagement with environmental issues, partnered with the Los Angeles County Museum of Art (LACMA) to replace the incandescent bulbs of Chris Burden’s sculpture Urban Light with LEDs, in order to prevent the release of 5 million pounds of carbon dioxide emissions over the next 10 years. Back in Manhattan, the Climate Museum is in the second stage of a multi-year process that Massie hopes will culminate in a bricks-and-mortar site – a permanent home for the discussing these issues. It’s clear that the pursuit of tackling, questioning and making art about climate change has finally reached a boiling point. As such, it’s no surprise that there are a range of shows on internationally that seek to bring climate change to the forefront of public debate. Here, we select the best over the coming months. PETER HANSEN, THE PLOUGHMAN TURNS, 1902. COURTESY OF THE HIRSCHPRUNG MUSEUM. Down to earth: Danish painting 1780-1920 and landscapes of the anthropocene explores how our conception of nature has changed over time. Organised in collaboration with the Faaborg Museum and the Ribe Art Museum, it includes landscapes by Danish artists from the 18th and 19th centuries such as NA Abildgaard, Jens Juel and CW Eckersberg. A particular highlight is Peter Hansen’s painting The Ploughman Turns, 1900, which portrays mankind’s historic efforts to tame and shape the natural world, while illustrating its “genuine dependence on the earth”, say curators Gertrud Oelsner, Gry Hedin and Thor Mednick. There are also works made by contemporary artists Camilla Berner and Rune Bosse in response to show, which the curators hope will “create a critical space for reflection by rendering visible the historical roots of the present-day Anthropocene landscape”. JUSTIN BRICE GUARIGLIA, NARSAARSUK I, 2015. IMAGE COURTESY OF THE ARTIST. Earth Works features 24 photographic works by American artist Justin Brice Guariglia, who has become one of the most prominent cultural figures working to address climate change. 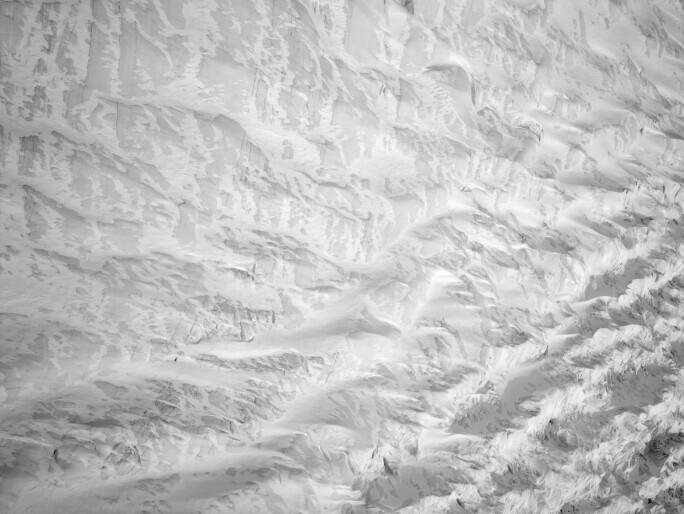 In 2015 and 2016, Guariglia flew seven times with NASA as part of Operation IceBridge, an airborne survey of Greenland aimed at studying the effect that melting glaciers had on the sea level. The photographs he took on these trips, printed using materials such as polystyrene and aircraft-grade aluminium, serve as the foundation for this exhibition. They oscillate between abstraction and figuration, suggesting both microscopic and panoramic perspectives and making the viewer question their conception of the natural world. “Guariglia’s work poses important questions at the precise moment they are most needed,” says Tim B Wride, the show’s curator. COAL MINE #1, NORTH RHINE, WESTPHALIA, GERMANY, 2015. IMAGE COURTESY OF FLOWERS GALLERY, LONDON / NICHOLAS METIVIER GALLERY, TORONTO. 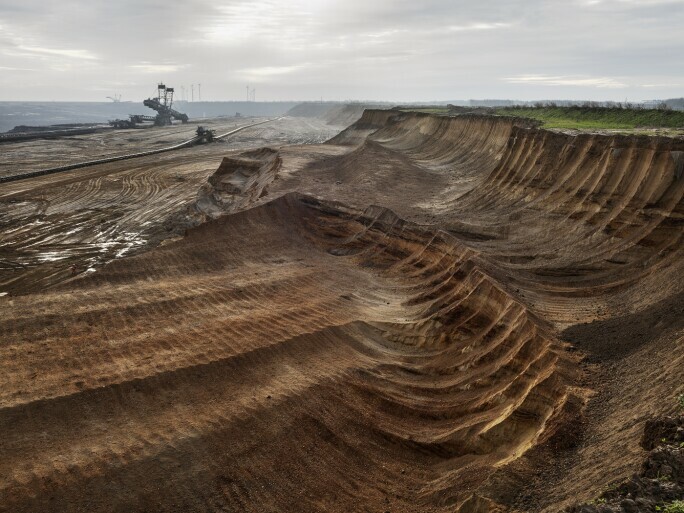 Following their documentaries Manufactured Landscapes, 2006, and Watermark, 2013, photographer Edward Burtynsky and award-winning filmmakers Jennifer Baichwal and Nicholas de Pencier have collaborated again to document different ways in which mankind is making an indelible mark on the planet. The trio travelled to every continent except Antarctica, capturing images of phenomena including a potash mine in Russia, anthroturbation (large-scale human tunnelling) in Switzerland and forestry on Vancouver Island. Thirty large-scale photographs by Burtynsky serve as a focal point for the exhibition, while films by Baichwal and de Pencier, watchable via a special app, are also on display, along with augmented reality installations. The burning of a mound of confiscated ivory tusks in Nairobi in 2016 is documented in all three mediums, providing multiple entry points from which visitors can engage with the challenging subject matter. 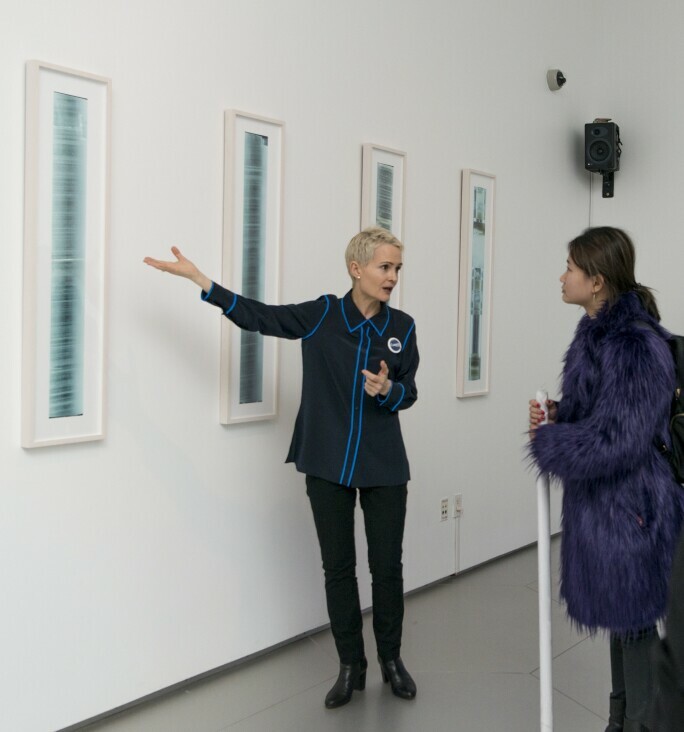 Curator Sophie Hackett hopes Anthropocene will encapsulate the “global conversation that these artists are leading”. PEALE, CHARLES WILLSON (AMERICAN, 1741-1827). 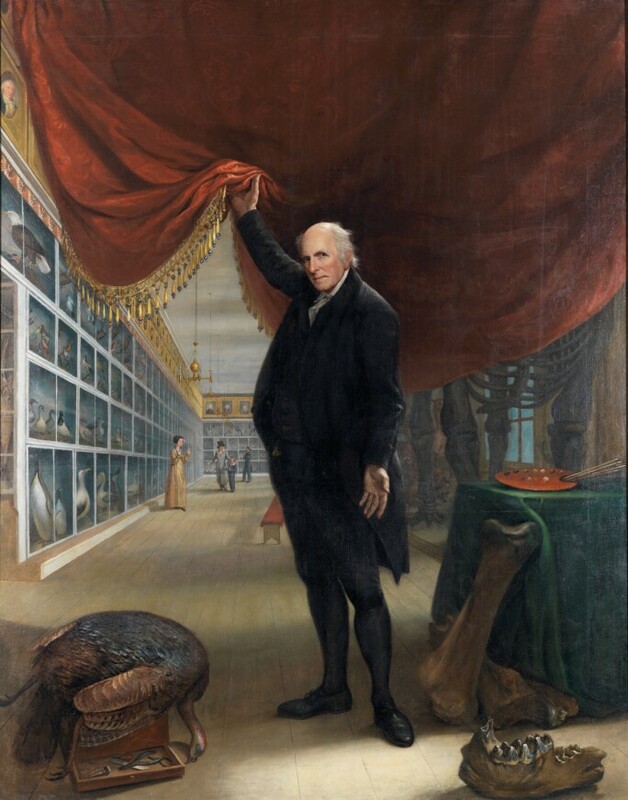 THE ARTIST IN HIS MUSEUM, 1822. OIL ON CANVAS, 103 1/2 X 80 IN. IMAGE COURTESY OF PENNSYLVANIA ACADEMY OF FINE ARTS. This exhibition traces 300 years of evolving ideas about the natural world through the work of 120 American artists. The exhibits span from the colonial era to the present day, with highlights including Thomas Moran’s Lower Falls, Yellowstone Park, 1893, and Dorothea Lange’s Depression-era photographs. LUCHITA HURTADO, THE UMBILICAL CORD OF THE EARTH IS THE MOON, 1977. IMAGE COURTESY OF ARTIST. 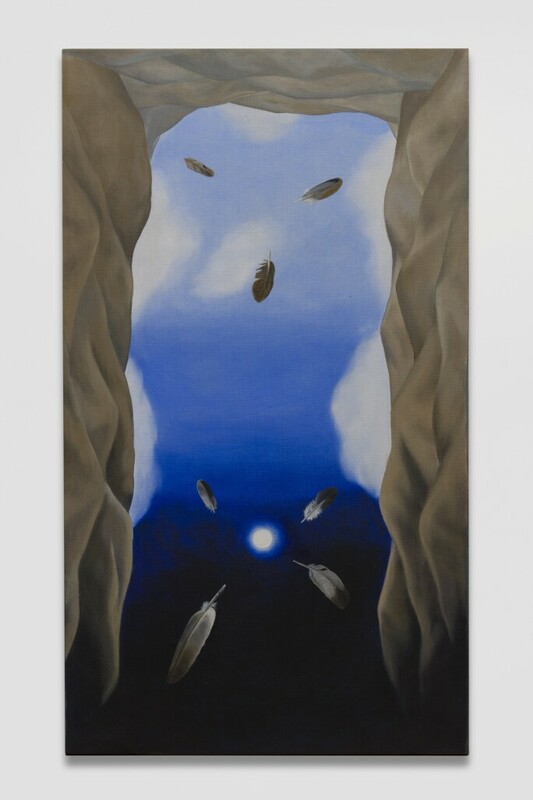 London’s Serpentine Sackler Gallery will host the first solo exhibition of Venezuelan-born artist Luchita Hurtado next summer. The show will feature works from across the artist’s long career, which has been defined by continuous experimentation and the exploration of themes including the environment and humanity’s connection to it. Among the displays will be photographs from 1946 that show the Earth from space – images that have heavily influenced Hurtado’s practice.